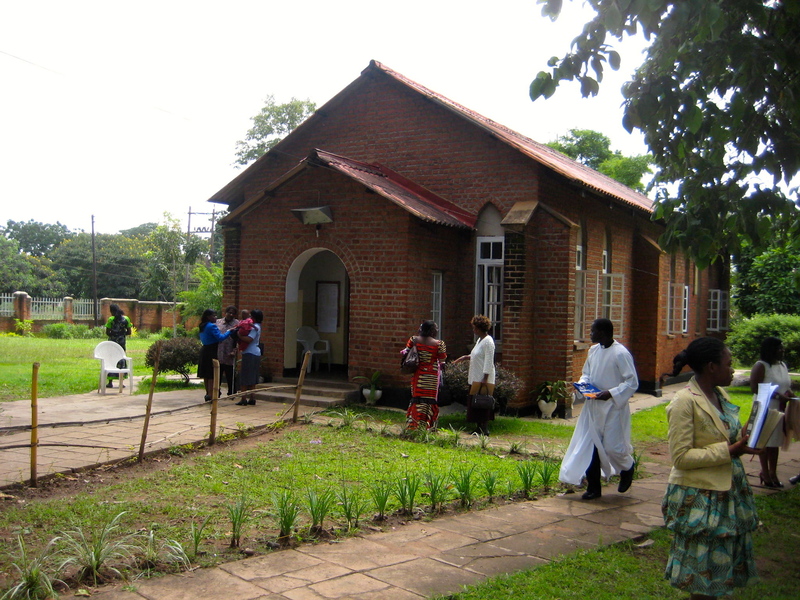 For a few months now, I’ve been attending an Anglican parish in Lilongwe. It’s very African. Sometimes a friend will come with me, but mostly I just go by myself and sit amongst a sea of Malawians. This morning, the service was more eventful than usual. I arrived fashionably late, per usual, and took my seat in the back, next to a man wearing a red shirt. Soon after sitting, we were called to kneel for the confession. I got on my knees and found the corresponding prayer in the pamphlet. As the prayer started, the man in the red shirt laid down in the aisle. He was stretched out so that his head was rubbing up against my knee. “Wow, this guy is really serious about his confessions” I thought. Worrying what other people would think of me, I focused more on keeping my poise than on reciting the prayer. After a few seconds, a nun tapped me on the shoulder, and gently asked me to move one row up. I complied, and watched as she started faning the man in the red shirt, attempting to revive him. Apparently, he had fainted. In a misguided attempt to embrace cultural differences, I accidentally neglected my most basic calling…to love my neighbor. This morning was also a “Golden Sunday.” That means that the normal service takes place, but is interrupted halfway through to hold something of a fundraiser. A man, in acolyte garb, stood in front on the altar and called people forward to donate Kwacha (the Malawian currency). He would say, “all the grandparents come forward!” or “now all of the youths come forward!” and every time you fit into a category, you would go to the front and donate. Meanwhile, jamaican praise songs played so that people would danced up the aisle whenever it was their turn. I had trouble understanding the man’s accent, and I had never been a part of this so I just sat quietly in my seat, even when I felt that I belonged to a particular category. I kept this up for so long that I began to feel bad, and again, started worrying what others would think of me for not donating. The very last category was “come forward if you have a friend, and everyone has a friend!” Two girls in my pew went forward, holding hands, as did many others in the congregation. I remained seated, and timidly observed the procession. Until, a hulking black man grabbed me by the hand, and in one of those “James Earl Jones-esqu” voices said, “You are my friend, you will come with me!” We walked down the aisle hand-in-hand, and I held on for dear life as he bounced up and down to the music. When we got to the front, he gave me 500 Kwacha to donate to the church. A black African donating money to a white American missionary. I smiled the whole walk back to my seat. This entry was posted in Malawi on December 1, 2013 by Gret Glyer.